In 2009, Stone President & co-founder Steve Wagner made a research trip to England to learn more about the confusing and often contradictory history of IPAs. That epic trip resulted in an epic ale that years later makes its encore reign – the last in the series of Stone’s 20th Anniversary celebratory re-brews. 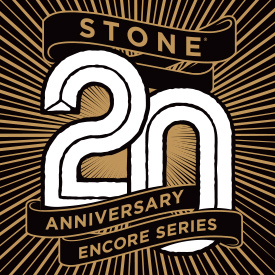 20th Anniversary Encore Series: Stone 14th Anniversary Emperial IPA will begin arriving in bars and restaurants where Stone beers are sold this week. Stone Brewing has conjured up another batch of Stone Enjoy By IPA. Instead of opting for the normal Halloween theme of pumpkin spices, Stone harnessed the real, juicy nectar of tangerines. 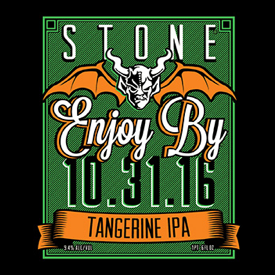 Stone Enjoy By 10.31.16 Tangerine IPA is beginning to arrive this week in select stores, bars and restaurants where Stone beer is sold. Don’t expect it to stick around for long, though. Its plot has been dug, as its enjoy-by fate has already been destined for the hop afterlife. The arrival of cooler months heralds when craft beer drinkers begin to find themselves hunkered down indoors with richer beers like milk stouts and porters. 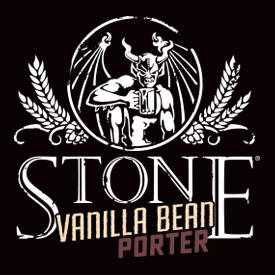 Starting this week the new Stone Vanilla Bean Porter will be packed for any such occasion alongside Stone Coffee Milk Stout, Stone Ruination Double IPA 2.0 and Stone Delicious IPA in the Stone Cabin Fever Mixed 12 Pack. Stone Brewing has spent the past 20 years building a reputation with bold, big-character beers...including many groundbreaking IPAs. So it's no surprise the San Diego-based craft beer company is revisiting one of its hoppiest Stone Collaboration beers for the latest installment of the Stone 20th Anniversary Encore Series. Brewed with two fellow hop-obsessed brewers from California's Beachwood Brewing and Heretic Brewing Company, the Beachwood / Heretic / Stone Still Unapologetic IPA is making its way to select markets nationwide in 22-ounce bottles and on draft. Stone Brewing, the 10th largest craft brewery in the United States, and San Diego-based hospitality collective, Untitled Hospitality, announce their partnership to develop Stone Hotel -- the companies' first-ever brewery hotel. The concept aims to open in the first quarter of 2018 and will be constructed, owned and managed by Untitled Hospitality through an exclusive license agreement. Located on thirteen acres of land adjacent to Stone Brewing World Bistro & Gardens - Escondido, the Stone Hotel will offer an all-encompassing experience with amenities to captivate craft beer enthusiasts and novices alike, alongside the usual healthy dose of Stone's disregard for convention. For two decades, Stone Brewing has demonstrated a passion for brewing and an obsession with hops, resulting in two decades of beers that have both challenged traditional styles and rewritten expectations for beer. So it's only fitting for Stone to commemorate its 20th Anniversary by crafting an awesome new celebratory double IPA: Stone 20th Anniversary Citracado IPA, brewed with avocado flower honey and Citra hops. Beginning this week, the craft beer company will release the beer in 22-ounce bottles and on draft to retailers in markets nationwide where Stone beers are sold. 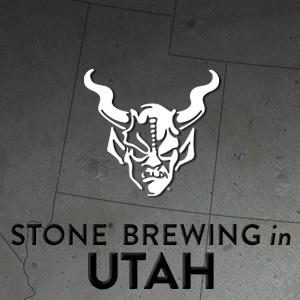 Stone Brewing is pleased to announce that the San Diego-based craft brewer will begin selling its beers to bars, restaurants and retailers throughout the entire state of Utah. As its wholesale partner, Carlson Distributing, Inc. will distribute Stone's bold, flavorful and often hop-centric beers throughout the state. Beginning this week, beers will be available on special order with full distribution and celebratory events to follow. Nearly seven years in the making, American craft beer has made a milestone leap into Europe's time-honored beer culture. 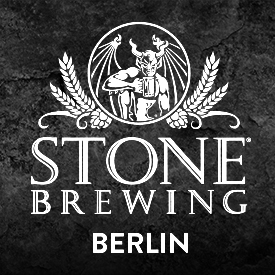 Stone Brewing has announced that its Berlin, Germany brewery is now fully operational and the company is now distributing its beers to 17 countries throughout Europe. This milestone further solidifies the brewery's historic accomplishment of becoming the first U.S. craft brewery to independently build, own and operate a brewery in Europe. 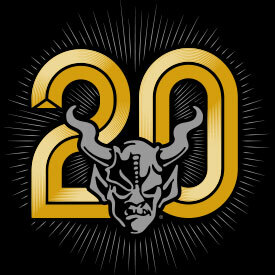 Two decades of innovative brewing and remaining true craft is worth celebrating. 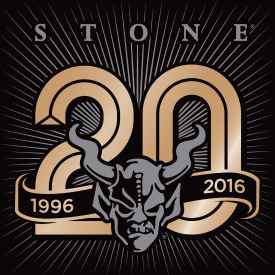 To commemorate its significant milestone, Stone Brewing is staging its largest annual charity event--the Stone 20th Anniversary Celebration & Invitational Beer Festival--on August 19 and 20.  Southern California's largest annual 100% craft beer festival will take place at California State University, San Marcos in north San Diego County. 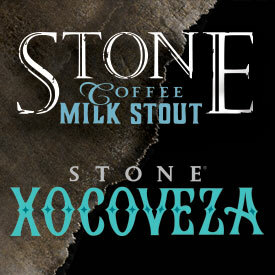 As in past years, Stone will proudly contribute all proceeds to these non-profit organizations: Surfrider Foundation, Boys & Girls Club of San Marcos, YMCA of San Diego County and Fight ALD. Napa is famous for superb Chardonnay, Cabernet Sauvignon — and Stone ales? 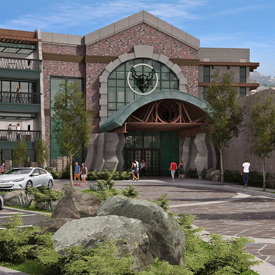 Escondido-based Stone Brewing plans to open a tap room, restaurant and small brewery in a Napa landmark. Built in 1877, the 10,000 square-foot Borreo Building offers views of the Napa River and downtown. Stone Brewing, one of craft beer’s most recognizable brands, will open a new brewery and restaurant in downtown Napa’s historic Borreo building as early as next spring. Gotta be honest here, folks. Stone Brewing Berlin World Bistro and Gardens looks like the duck’s nuts, and we’re ready to cross the pond to pound some beers in Berlin. It’s so enormous. We could probably spend a week just exploring its beer selection. The brewery itself is producing beer for 18 different countries (so far), but the bar and restaurant have a total of 75 beers on tap, which is the largest beer selection in all of Germany. It’s finally happened: Stone Brewing World Bistro and Gardens—Berlin is fully operational. After six years of planning and building, the destination taproom/restaurant/beer garden has opened its doors to the public. And like all Stone World Bistro and Gardens, it’s stunning. Stone Brewing Co. is listed as one of the 10 reasons to live in San Diego. USA Today -- Stone Brewing CEO and co-founder Greg Koch has announced the formation of True Craft, a $100 million company aimed at investing in craft breweries. The new company, which Koch described as a year and a half in the making, will make minority non-controlling investments in breweries will letting them remain independent and in charge of operations. The founders of Stone Brewing Co. went against the grain when they launched their craft-beer business 20 years ago, an effort that included fighting the beer establishment. Last week, outgoing CEO Greg Koch announced a new consortium pledging $100 million to help combat the influence of corporate money in the craft sector. Stone co-founder & President Steve Wagner filled Thrillist in on his favorite beers at the moment. Stone Brewing Co. CEO Greg Koch has announced the formation of True Craft, a $100 million company geared toward investing in smaller craft breweries to help them remain independent. Hop-Con 4.0 will tap beers by Wil Wheaton, Jonah Ray, and more! The geek/nerd-centric site unveiled the bottle label for this year's Stone Farking Wheaton w00tstout, while also mentioning details for Hop-Con 4.0...the ultimate annual celebration uniting all things nerdy and beery.